EZ Weather has a simple, clean and beautiful HOLO interface. It’s designed for easy using . You can get weather conditions quickly including daily and hourly forecasts for any location. Your best weather app on home screen! 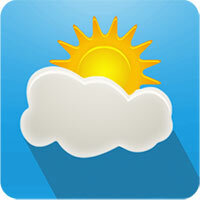 “A clean simple weather app. Great app: Great widgets: Great notification weather. Can’t ask for much more! – Intuitive information of temperature, wind speed and direction, humidity, visibility, pressure, dew point, UV etc. – Multi weather data source service. – Smart Alert when weather changed, support push notification to your android wear device. – Support new feature on Android L and Android wear. – Support show current and future weather in expandable notification bar. – Support clock & weather, forecast and current weather info widget for tablet and phone. – Support Lock Screen Widget and DashClock extension. – Support tens of thousands cities’s climate around the world, also support world clock take it when you are traveling! – Support Arabic, Catalan ,Chinese ,Croatian ,Czech ,Danish ,Dutch ,English French ,German ,Greek ,Hebrew ,Hungarian ,Italian ,Japanese ,Korean ,Norway ,Polish ,Portuguese(Brazil) , Portuguese(Portugal), Romanian, Russian, Serbian, Slovakia, Spanish, Swedish, Turkish, Ukrainian, Vietnamese etc. 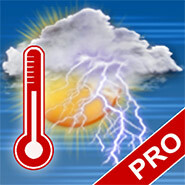 EZ Weather is AD-FREE at present, get your personal meteorologist now!